This month I’m pleased to have work included in “Brooklyn Bridge,” a group show at George Lawson in San Francisco curated by Justine Frischmann. 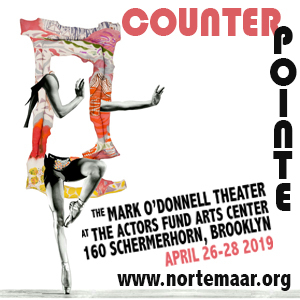 The exhibtion features fourteen contemporary painters who work in and around Brooklyn. 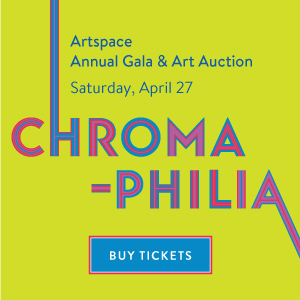 In her fine catalogue essay, Frischmann, a gifted painter and former guitarist and lead singer of the British post-punk band Elastica, compares the Brooklyn painting community to the London Punk revival of the 1990s. 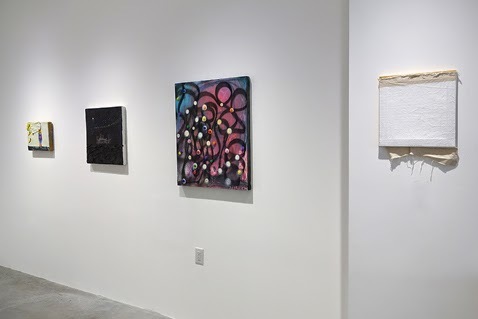 Installation view, left to right: Katherine Bradford, Katherine Bradford, Jason Stopa, Chris Martin, Sharon Butler, Julie Torres (two paintings stacked), Wendy White. 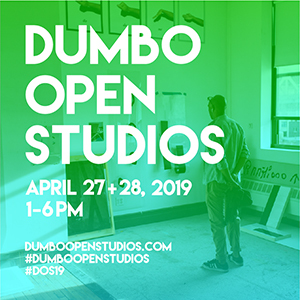 For images of all the work in the show, click here. 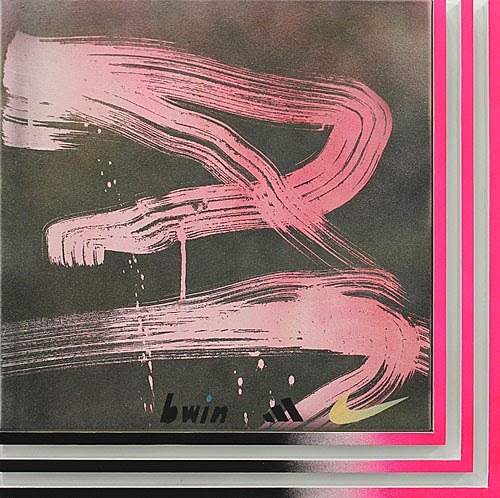 Wendy White, Bwin, 2014, acyrlic on canvas, wood, enamel 18.5 x 18.5 inches. 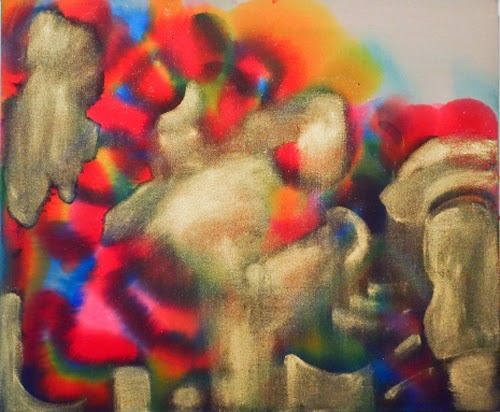 Clinton King, Dazzle Decoy, 2013, oil on canvas 30 x 20 inches. 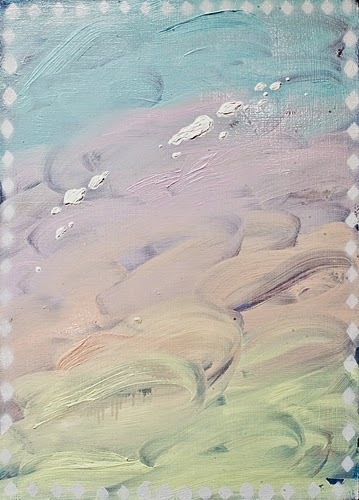 Julie Torres, Who Loves the Sun, 2013, acyrlic on canvas, 9 x 12 inches. 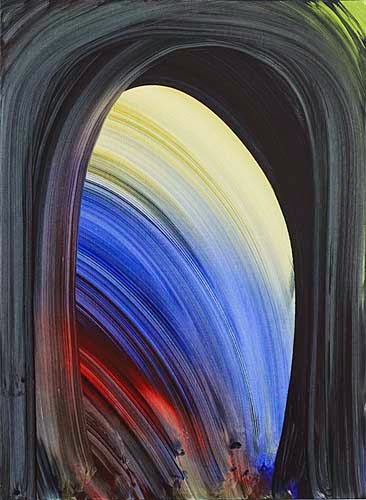 Andrea Belag, Don’t Look Back, 2012, oil on linen 30 x 22 inches. 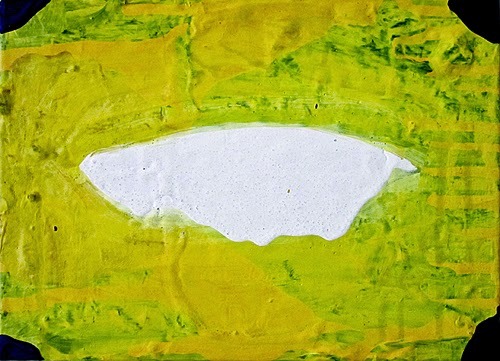 Paul DeMuro, Radiant Risk, 2013, oil on paper 22 x 30 inches. 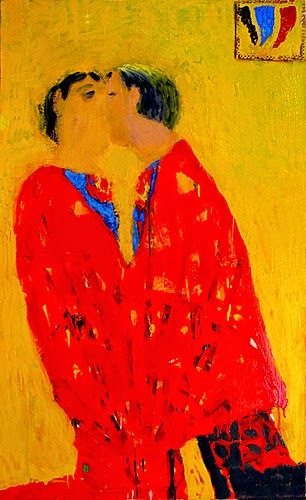 Katherine Bradford, Superman Kiss, 2011, oil on canvas 48 x 29 inches. 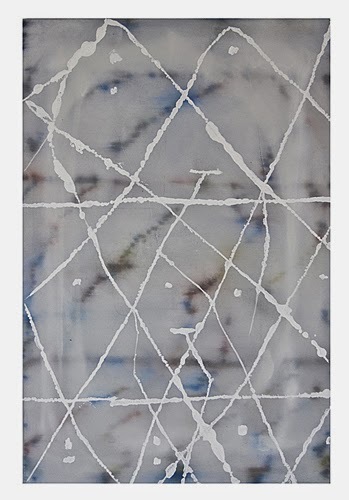 Chris Martin, Untitled, 2009, oil, spray paint, gel medium, glue and collage on canvas, 31 x 26 inches. 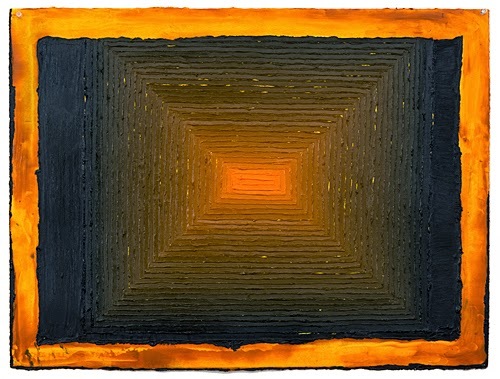 Saira McLaren, In Recline, 2013, acrylic dye and gold bronze dust on raw linen 25 x 24 inches. 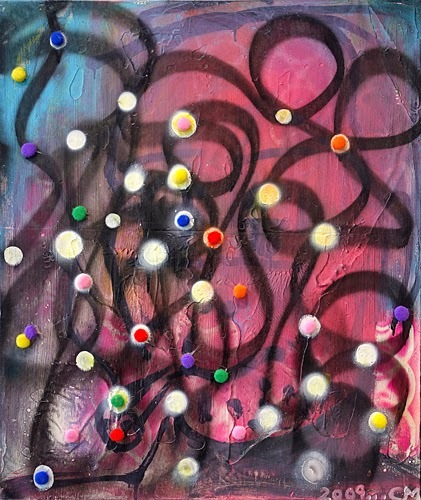 Jason Stopa, The Day, 2013, oil and sprayed paint on canvas, 24 x 18 inches. 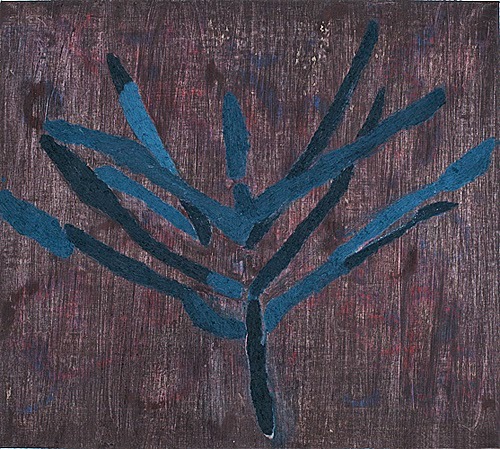 Mike Olin, Cabin Dust, 2012, oil and mixed media on linen, 17 x 13 inches. 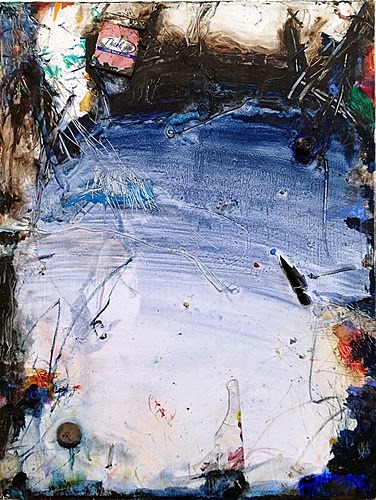 Paul Pagk, o g l s 132, 2011-13, oil on linen 25 x 24 inches. 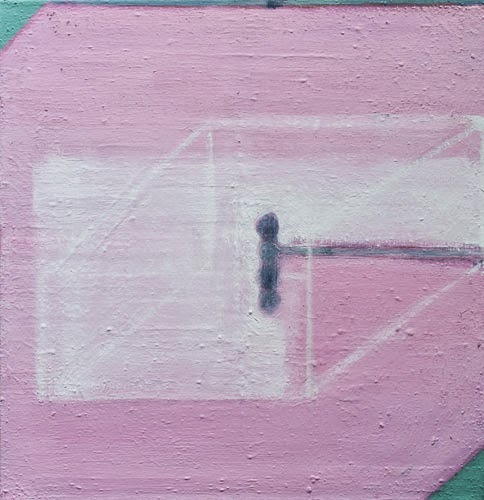 Clare Grill, Char, 201, oil on linen 18 x 16 inches. 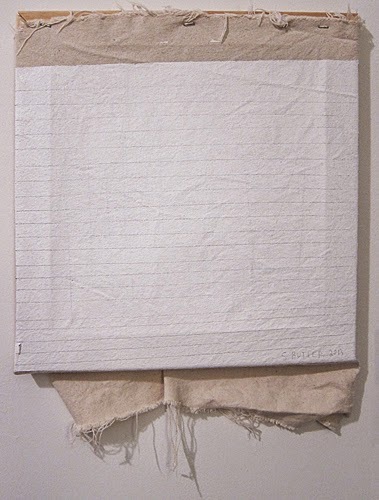 Sharon Butler, Agnes Martin, 2013, pigment and binder, pencil on canvas, 17 x 14 inches. Mike Olin, Paul Pagk, Jason Stopa, Julie Torres, and Wendy White. 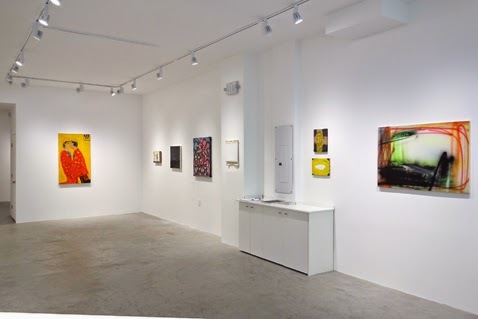 George Lawson Gallery, San Francisco, CA. Through July 12, 2014. Click here to download the complete catalog for the show.